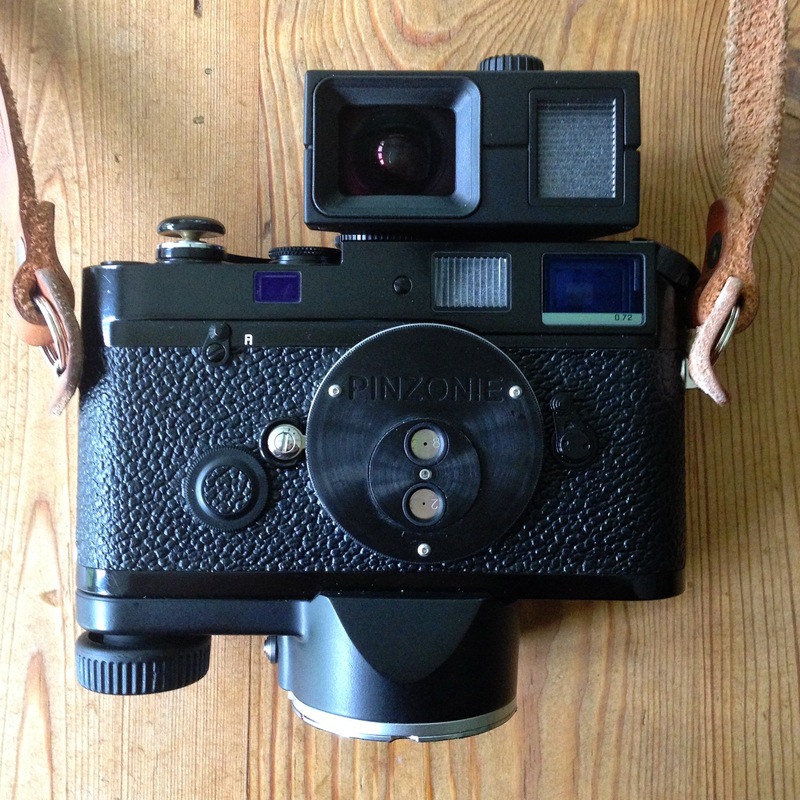 I am sure many of you are as disappointed in the new Leica introduced today as I am…. the Leica X Vario. This coupled with the M 240 which I am NOT a fan of makes me think Leica needs a swift kick to get back into the game. A note to Leica… do not try to compete with Fuji or Canon or Sony as you can not… Instead, do what you do best and make cameras like the M9P and my MP a la carte. Anything else is just a waste of time. Now to put a smile on your face (well, it did mine! )… here is my newest camera with some fun additions…. a black paint Leica MP a la carte with my PinZonie 28mm pinhole lens as well as a 18mm pinhole lens in the Leica Lens Holder M on the bottom and the very cool Leica Universal Viewfinder – The Frankenfinder!! (covers 16mm-28mm with a brilliant clear view and also has parallax correction for close up distances which is sooo nice… for me the perfect walk around camera!